Pink Cherubs, Clone. 1990 Ed McRae. 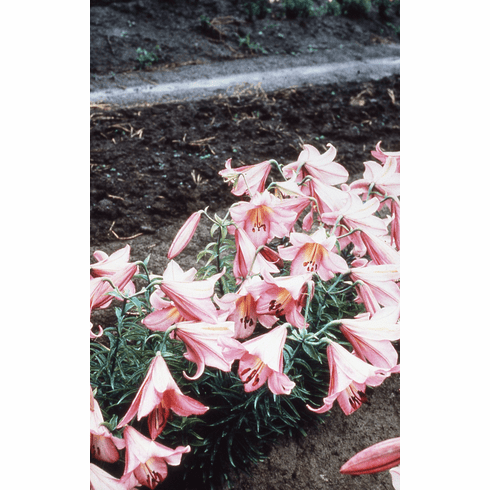 Introduced by B & D Lilies. Never recorded as to parentage or registered with the RHS. This was selected from a strain of dwarf growing 'Pink Perfection' types. Photo B & D Lilies.